Another of my leftovers lunch recipes for one. I had about an ounce of teriyaki salmon left over from the night before, as well as some cold Japanese rice. This is a common Japanese leftovers dish, but I did not look any of them up. I just threw together what seemed reasonable to me. 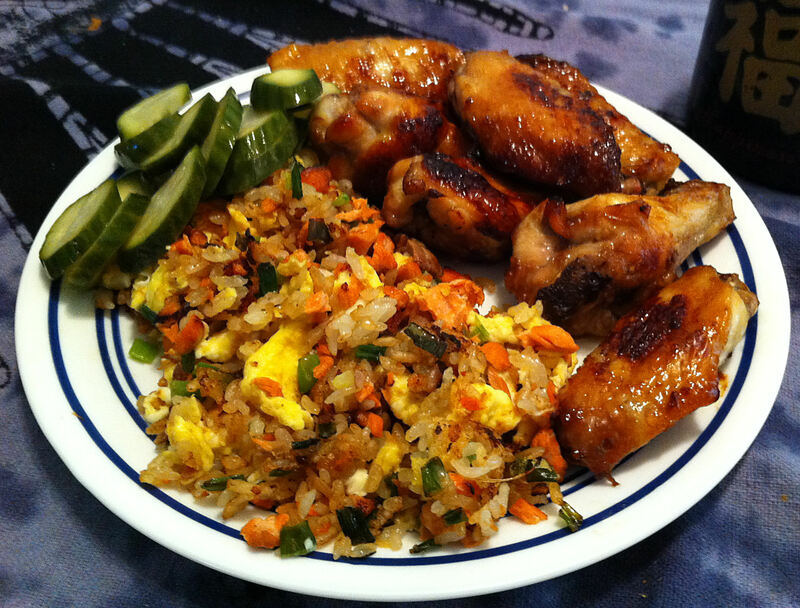 To go with my rice, I decided to make some teriyaki chicken wings and I threw in some Japanese pickled cucumber as my salad.